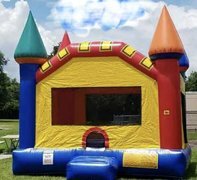 Bounce House Rentals | DiscountBounceHouseRental.com Fayetteville GA. Bounce Houses are America's favorite event attarction, and Discount Bounce House Rentals has a great selection to choose from for our Fayetteville customers. 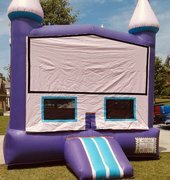 You can also select a custom party theme with our Purple Castle Castle bouncer. We have a variety of theme banners to choose from. Browse the selections below and click on the image or "More Info" link to get additional information and to make a reservation.